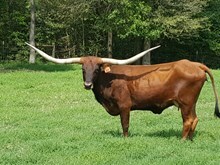 Longhorns for Sale In Shepherd, TX. We would like to thank the people that have bought cattle from us, and listed below are a few cattle that were purchased. Sold at the 2011 legacy to Doug and Sandy Stott's of Stott's Hideaway Ranch. 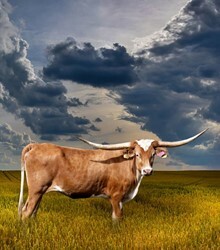 Consigned to the Deep in the Heart of Texas Sale. 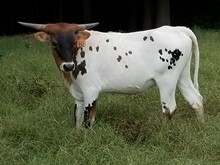 Partnership heifer with Doug & Sandy Stotts.